This volume traces the history of the railway linking Melbourne and Sydney, starting in the mid-19th century when engineers put down tracks from either end and eventually met at Albury in 1883. At the time the railway consisted of the standard gauge on the New South Wales side and the broad gauge on the Victorian side. It was not until 1962 that this problem was rectified when a standard gauge line was opened from Melbourne to Albury. 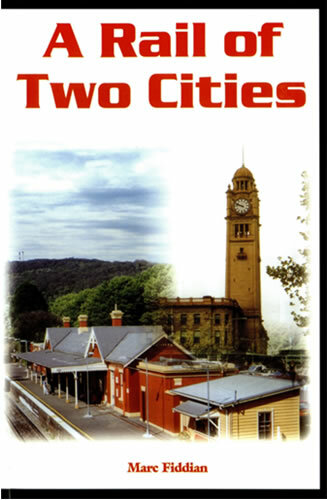 Author Marc Fiddian looks at the major stops between Australia's largest cities, the places where passengers changed trains to branch lines, accidents, incidents and personalities involved with the railway. One of the train drivers was Ben Chifley, who later served as Australia's Prime Minister from 1945-49.